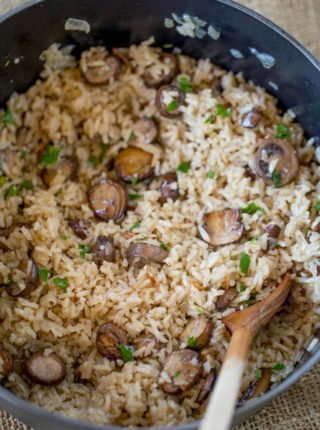 Rice is almost always the perfect addition to the table, or even works as part of the main course, like this Easy Mushroom Rice, Spanish Rice, and Classic Fried Rice! 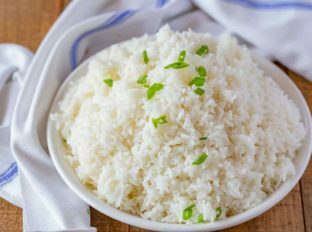 Chinese Steamed Rice is a really simple and easy recipe that’s the PERFECT side dish to any main course. You don’t need any special equipment, just a pot with a lid and some water set to simmer until the rice is cooked through. For this recipe you can add salt or bouillon to the water for extra flavor, or just make it plain to go with saucy dishes. If you’re looking for more starchy Asian side dishes you can make many of the noodle recipes on the site including Chicken Lo Mein, Classic Chinese Chow Mein, Easy Pad Thai, Pad See Ew (Thai Stir Fried Noodles) and Ramen Noodle Salad. WHAT IS THE DIFFERENCE BETWEEN STEAMED RICE AND BOILED RICE? WHY IS MY STEAMED RICE STICKY? 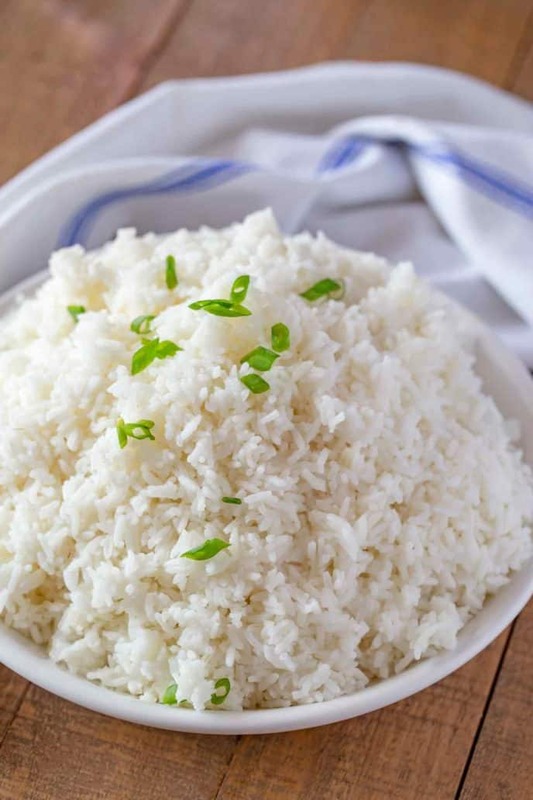 Steamed rice should stick together a little bit, but if it’s overly sticky then there could be too much starch left on it before cooking. Make sure you’re rinsing thoroughly before steaming it. You’ll know that it’s ready when the water starts to look more clear instead of cloudy. HOW LONG DOES STEAMED RICE LAST IN THE FRIDGE? This will last in the refrigerator for about 4 days. When you reheat it, add a few tablespoons of water over the rice, which should add some moisture back in as it cooks. You can reheat it in a saucepan, or in the microwave. CAN YOU FREEZE STEAMED RICE? You can make a big batch of rice and freeze it for later. Just let the rice cool completely, then seal it in an airtight container and freeze. When you’re ready, reheat it with a few tablespoons of water in the microwave or in a saucepan. WHAT TYPE OF RICE CAN YOU STEAM? 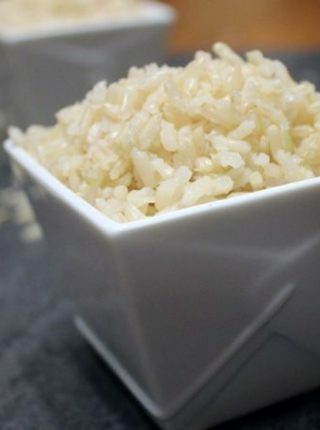 The rice you find at the Chinese restaurant is usually Jasmine, but you can steam most regular white long-grain rice varieties. 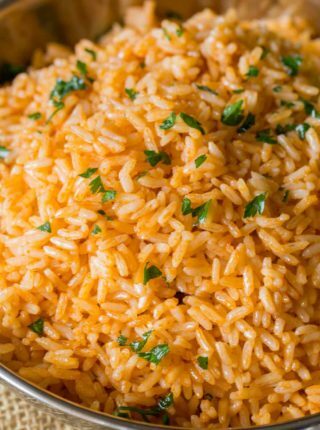 You can add flavor to the rice by steaming it in broth, or first toasting the rice with a little bit of butter and seasoning in the saucepan before adding water. Or add some salt before covering the rice. 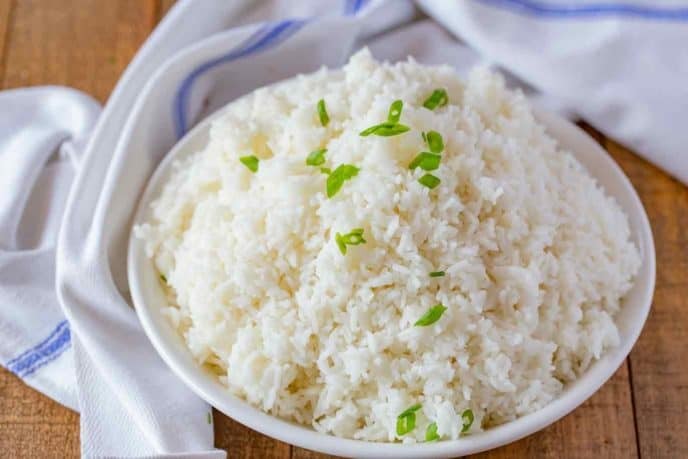 Remember that the amount of rice you start out with will just about double in size after it absorbs the water, so use a big enough pot to be able to comfortably fit it and serve it. If you don’t have a lid for your pot, you can tightly cover the pot with a piece of tinfoil. Don’t stir the rice while it’s cooking, or you can break up the starch and your rice will not stick properly. Hi..this really looks delicious but one question and please dont laugh at me lol. If it is steamed rice, do I need a double boiler or am I really cooking the rice in the water? No need to use a double broiler. I hope you decide to give it a try. Love Chinese steamed rice. So good! I have to try your recipe soon. I hope you enjoy it, Becky! This is perfect rice every time! Love how easy it is to make! Thanks for the 5 stars, Ashley! So glad you enjoyed it. 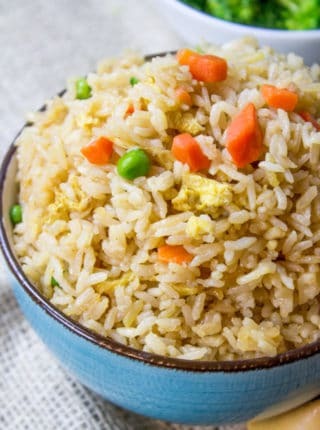 Love this simple rice recipe!